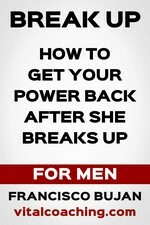 BREAK UP FOR MEN: Guys! If your girlfriend broke up with you, it's super easy to get help from me! Guys! If your girlfriend broke up with you, it's super easy to get help from me!